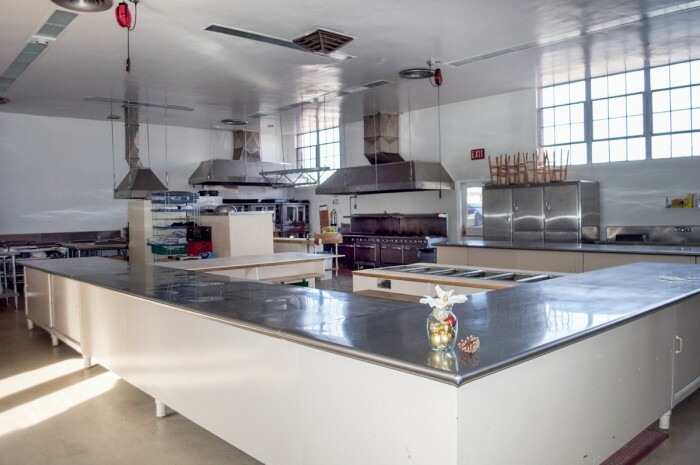 Our spacious kitchen provides ample space for catered staging purposes only. A refrigerator is available for event use, and off-site prepared food may be kept warm in warming ovens. An exterior door provides easy load-in access to the kitchen for caterers, and the Grand Ballroom for event setup and load-out.